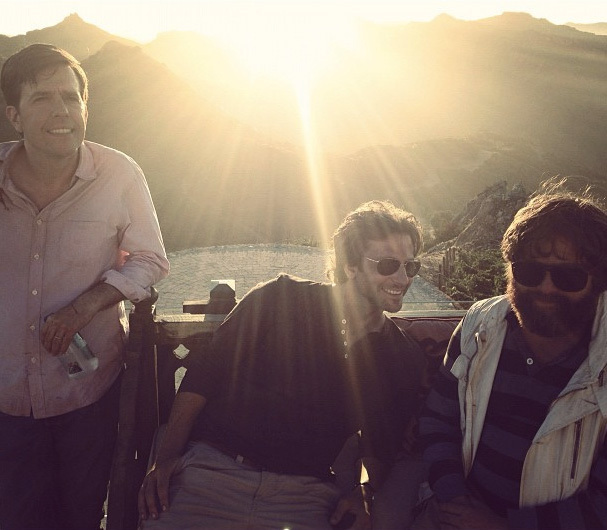 Some set photos have leaked online as production on The Hangover 3 is underway, but director Todd Phillips is taking some photos of his own on the set. 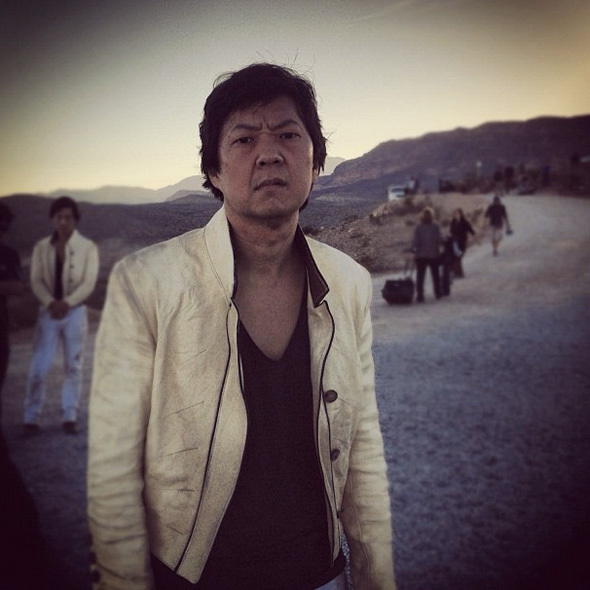 The filmmaker now has his own Instagram account and Legendary Entertainment has called to our attention to a small batch of photos from the comedy sequel that give a vague idea of what's happening. 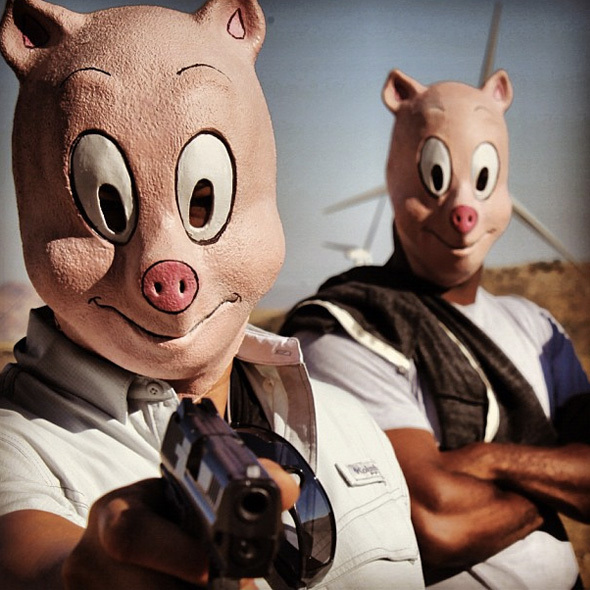 Bradley Cooper, Ed Helms, Zach Galifianakis and Justin Bartha are all back, and there's even a shot of Ken Jeong, John Goodman and some pig-masked, gun-toting thugs. We're not sure how they come into play, but there is one plot hint we noticed. Look below! 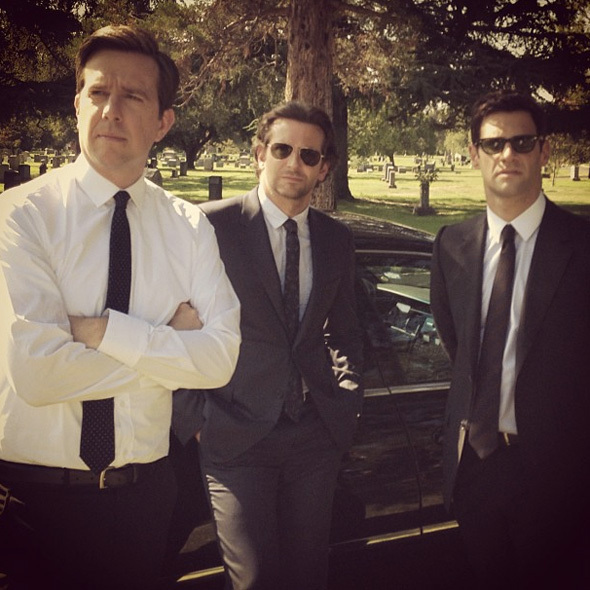 Notice that shot of Cooper, Helms and Bartha in a graveyard? I'm betting that Alan (Galifianakis) is forced to face life on his own after his parents die somehow, and the guys have to come to his aid. 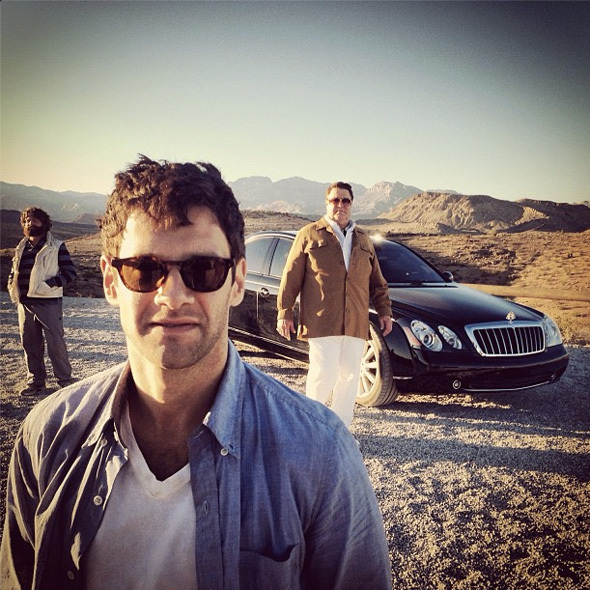 Part of me wonders if this time the "hangover" comes from a night of depressed drinking on Alan's part, and the guys wake up to find that Alan is gone this time, and they have to track him down. Either way, it's been said that this film will break the mold of the other two films, so something completely different could happen. But we're still going to predict that Alan's parents have died and he gets super depressed. Stay tuned for more. Lemmie guess... Alan gets married in Mexico. The last one was appallingly unfunny. Hope this is better. what is Zach wearing in the last shot? Is that a fake gut on Alan? hopefully they all are killed off - to spare the movie-going public from any more of these sequels. the first one was excellent but the second wasn't good in any respect. 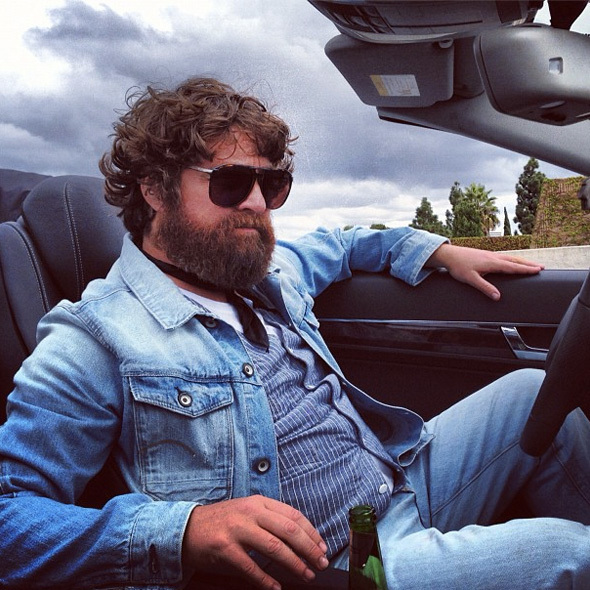 Galifianakis is the only reason I'll netflix this. Such a pimp. Haters, Ill watch 5 sequels and still get a laugh. It looks like a Core Form shirt from a big & tall shop. It's like a man girdle that takes off a few inches.